On this episode of The Many Faced Podcast jeff a.k.a toyhuntr is joined by sgt. Funko & the Heel Hunter to discuss the Avengers Endgame trailer 2 and Captain Marvel spoilers. On this episode of The Many Faced Podcast Jeff a.k.a. 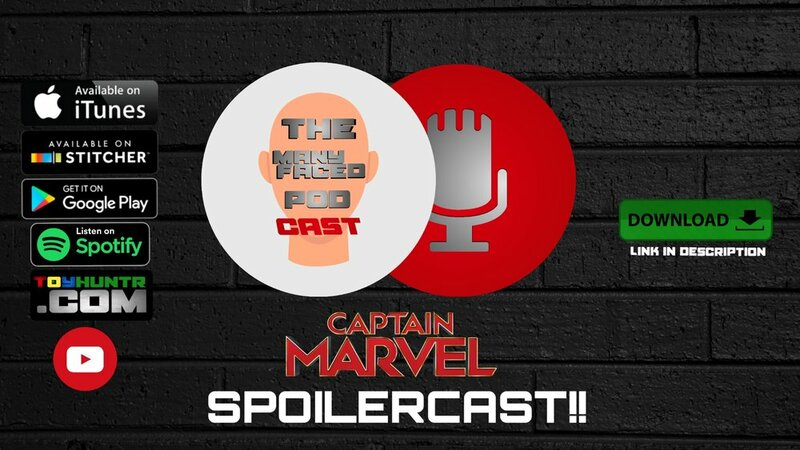 toyhuntr is joined once again by the Heel Hunter as they discussed the New York Toy Fair reveals, ECCC 2019 reveals and Captain Marvel early reactions. This week on The Many Faced Podcast jeff a.k.a. toyhuntr is joined by the Heel Hunter once again to discuss Ben Afleck done playing Batman, Birds of Prey teaser trailer and set photos, James Gunn directing the Suicide Squad, a possible Batman Beyond animated movie inspored by Spider-Man: Into the Spider-Verse and Goose the cat in Marvel's Captain Marvel screenings stealing the show. Enjoy! On this episode of The Many Faced Podcast Jeff a.k.a. toyhuntr calls up the Heel Hunter to discuss the Spider-Man: Far From Home trailer and many more topics. The Many Faced Podcast: Episode 32 | Aquaman...why? On this episode of The Many Faced Podcast Jeff a.k.a. toyhuntr is joined by Kevintothecore and the Heel Hunter as they discuss Aquaman and Spider-Man: Into the Spider-Verse with full spoiers and more. Enjoy! On this weeks episode of The Many Faced Podcast Jeff a.k.a. toyhuntr is joined by SGT. Funko, 90 miles from comics podcast's Kevin to the Core & the Heel Hunter. They discussed all things DCEU, Aquaman first reactions, Disney's The Lion King 2019 teaser trailer, Disney's 2019 movie slate, New Shazam synopsis, New Joker Movie synopsis, CW Elseworld's crossover and more! Enjoy! The Many Faced Podcast: Episode 28 | I. Can. Not. Wait !! On this episode of The Many Faced Podcast Jeff a.k.a. toyhuntr talks comics, funko pops, Titans episode 5, Disney's new Disney+ streaming service, Spider-Man: Into the Spider-Verse trailer and more. Enjoy! On this episode of The Many Faced Podcast Jeff a.k.a. toyhuntr talks about WW84 rumored to be a soft reboot for the DCEU, Titans episode 3, Kevin Feige recieving a Britannia award for Creative Visionary, who is Katherine Langford playing in Avengers 4 and more. Enjoy! This week on The Many Faced Podcast Jeff a.k.a. 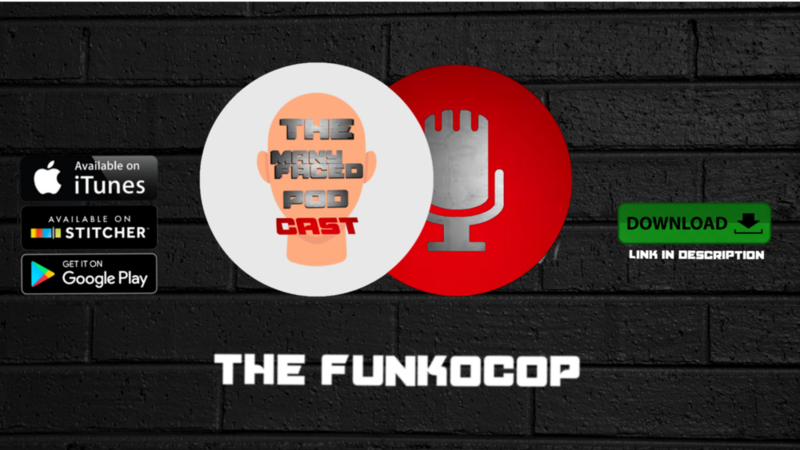 toyhuntr talks about the MCU news, the Luke Cage and Ironfist cancelations, James officially signing on as writer for Suicide Squad 2, WW84 delayed and more. Enjoy! On this episode of The Many Faced Podcast Jeff a.k.a. toyhuntr talks to The FunkoCop they discuss their YouTube starts, collecting, Venom and more. Enjoy! On this episode of The Many Faced Podcast Jeff a.k.a. toyhuntr calls up his friend The Heel Huntter and hey discuss the new Venom movie and more. Enjoy! On this episode of The Many Faced Podcast Jeff a.k.a. toyhuntr a.k.a. Donatello The Third a.k.a. Plato Da Vinci a.k.a. Lord Socrates discusses the Captain Marvel trailer, Ironfist season 2, Daredevil season 3 release date, Loki and Scarlet Witch getting TV shows on the Disney streaming service, First look at Joaquin Phoenix as Joker, First look at Jason Todd on DC's Titans, Netflix announces live action Avatar: The Last Airbender, LeBron James to star in Space Jam 2 and more. Enjoy! 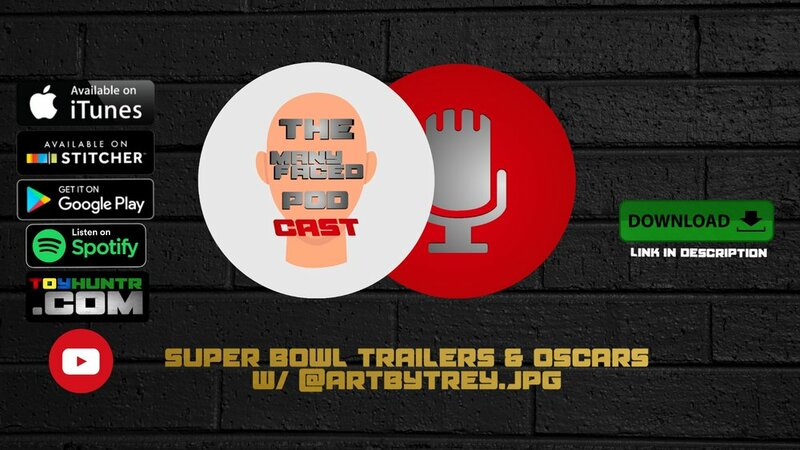 This week on The Many Faced Podcast Jeff a.k.a. toyhuntr is solo. He discuss the latest items he's collected, the latest news in DC & Marvel.